« IS THE GOVERNING BODY THE FAITHFUL AND DISCREET SLAVE? Was Charles Taze Russell a Mason / Freemason? The charge has been advanced that Pastor Russell and the Bible Students are connected With the Free masons and that both groups are to be condemned because they are occult in nature. The occult reference is used to describe both the secrecy aspect of their respective beliefs as well as the demonic. * Meet in Masonic halls. The same critic also strongly implies that Pastor Russell was secretly “an important Satanist” and that “various items from magic were part of [his] religious beliefs, including the Winged-Sun-Disk” of ancient Egypt. These charges are either inferential in nature or totally false. This technique is an effort to emphasize some outward similarities without providing full analysis. It is not a valid form of reasoning and would prove guilt merely on the basis of weak circumstantial evidence. Once again, we will draw upon the actual facts, beginning with a brief description of the Masons. The Masonic Order is an international organization with a long history going back to at least the twelfth century. It was originally connected with the art of building and adopted certain secretive and religious elements. It is generally thought of today as a fraternal and philanthropic organization, strongly supporting public education and various civic and charitable projects. It is not a religion but has deeply religious overtones incorporated in its rites and ceremonies. These represent a blending of concepts from major world religions. There has been a long history of mutual hostility between the Masonic Order and the Roman Catholic Church, with repeated official pronouncements against it from the Vatican. Relations have improved somewhat in recent years, and there has been some cooperation in mutual endeavors. But the Catholic Church and some Protestant denominations for bid or discourage Masonic affiliation. 1. Examine Pastor Russell’s own statements regarding any possible Masonic connections. 2. Compare some of the underlying religious concepts and philosophy of Freemasonry with the beliefs of the Bible Students. 3. Take a close look at some of the “mystic tokens” that supposedly have been adopted by the Bible Students. With this evidence in hand, the reader will be enabled to appreciate the lack of understanding and the falsity of the charges being made. “So far as we can judge, there is a certain amount of [simulated] worship or mummery connected with the rites of this order [Free Masonry] and some others, which the members do not comprehend, but which, in many cases, serves to satisfy the cravings of the natural mind for worship, and thus hinders it from seeking the worship of God in spirit and in truth—through Christ, the only appointed Mediator and Grand Master. However, as one reads his elaboration that follows, it turns out that he was giving a discourse on “the Temple of God” in a hall that had been rented from the Masons, and was merely using figurative language to express some limited similarity with that group. He had begun the discourse by stating that the Bible Students were a Christian group and, as such, had certain points of faith in sympathy and harmony with every denomination. In these comments and from the other language the Pastor employed in sketching the Biblical picture of the spiritual Temple in process of development (see 1 Corinthians 3:9-11), it is abundantly clear that his talk was designed to be especially appealing to the Masons, whose very existence as a group was related to the building arts. From this standpoint, his remarks are not to be interpreted as implying that either he or the Bible Students were associated with that group. To the contrary, it is evident that he was appealing to their spiritual senses and showing that there was a much higher calling to which they would also have the privilege of responding. (a) Freemasonry de-emphasizes the role of Jesus Christ. The enlightenment of Masonic teachings and accompanying good works are the only prerequisites “to ascend to the Grand Lodge Above,” without the necessity of acknowledging Christ as Lord and Savior. (b) Freemasonry sets forth “a common denominator” god who is not limited to the Judeo-Christian definition of a unique Supreme Being above all others. Rather, its “ever- living, true God” may incorporate elements of belief from ancient Assyria, Egypt, India and other non-Biblical sources. (d) A candidate for initiation as a Mason is portrayed as one “in a state of darkness” who will be enlightened by the revelations of knowledge he will receive which are unattainable elsewhere. Whereas the above comparison shows significant differences between the Bible Students and Freemasonry, there is yet another point that should be mentioned. In an effort to form a fraternity of men of various religious persuasions, Freemasonry requires all prospective candidates to attest specifically to two religious tenets: (1) Belief in a Supreme Being, and (2) Belief in the Immortality of the soul. This second item distinguishes the Bible Students yet further, since they believe that the hope of a future life is based on the Resurrection of the dead, not on the possession of an Immortal soul. Bible Student understanding on this subject has been detailed more fully in Chapter 5 of this presentation. In the light of this analysis, it may be seen how far fetched is the charge that Bible Students are related to the Freemasons in their religious beliefs or practices. The gap between these groups is just too great to permit such characterization. Once again we have a mixture of presumptive and completely false statements. We have already seen that Pastor Russell was not an admirer of secret societies and strongly counseled against participating in them. As for the Cross and Crown symbol, his was hardly distinctive, either to the Bible Students or to the Masons. If Pastor Russell was fond of this symbol, he had a lot of company: Both Catholic and Protestant churches had universally adopted the Cross and Crown and used it for centuries as a Christian emblem depicting the final reward of the faithful believer. In Bible Student usage, a Cross and Crown symbol appeared for the first time on the cover of the Watch Tower magazine for January 1891 and continued to be displayed until 1931. At first there was no natural wreath encircling the Cross and Crown, merely an artistic geometric pattern. Later, beginning January 1, 1895, a band of greenery was added, giving the wreath the distinctive appearance it has today, as frequently used on Bible Student convention programs and letter heads. Since it never was unique to the Masons, its adoption by the Bible Students carries no significance in relating it to that group (or any other group, for that matter). Bible Student meaning for the Cross and Crown is taken from the Scriptures where both symbols are given a prominent place. The cross, besides being the instrument used in the death of Christ, is also a metaphor of the trials and persecutions of the believer. (See Matt. 16:24.) The crown is frequently used as a symbol of the glory, honor and immortality granted to Christ and his church for faithfulness in serving God. (See Rev. 3:21; 2:10.) The Bible also makes it clear that gaining the crown is dependent upon bearing the cross faithfully even unto death. (See James 1:12.) The poem, “No Cross, No Crown,” emphasizing this point, appeared in the July 1, 1911 issue of the Watch Tower. This again is not a concept unique to Bible Students and may be found in church hymnology dating back to at least the eighteenth century. And finally, the wreath encircling the Cross and Crown symbol is taken as a sign of victory. Its use in crowning the winners in the Greek games is directly alluded to in 1 Corinthians 9:25. Similar Biblical basis is seen for the Winged-Sun-Disk design, which though of ancient origin, became popular in the early twentieth century and was even adopted by an automobile manufacturer. The Bible Students took it as a fitting symbol to portray the events expected to occur at the start of the Millennial day: “The Sun of Righteousness shall arise with healing in his wings” (Mal. 4:2), referring to Messiah’s role as earth’s new ruler in the Kingdom, to bring blessings to all the families of the earth. For a time beginning in 1911, the winged disk was used as a design on the covers of the Studies in the Scriptures series, but it is certain that no reference to the primitive Egyptian sun god Ra was ever intended. Pastor Russell was always firmly opposed to all forms of occultism, as will be discussed in greater detail in the section on Pyramidology later in this chapter; and he never knowingly employed any mystic symbols in his ministry and teachings. CONCLUSION. We have touched on some of the outward similarities of Bible Students and Freemasons and clearly seen that a valid case for linking them together can not be made. Even the fact that some times the Bible Students meet in Masonic halls is irrelevant since they also meet in churches, YMCAs, schools, public auditoriums, conference centers and private homes where suitable accommodations may be available. The bottom line here is that there is no basis for ascribing occultist beliefs or practices to Pastor Russell and his followers (or seemingly to the Masons). October 18th, 2012 | 80 comments - be the next! 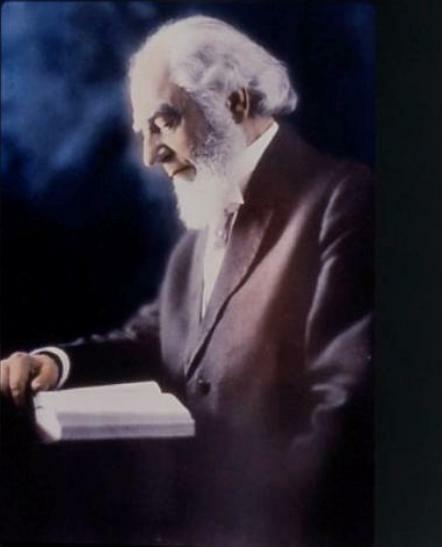 80 comments to Was Charles Taze Russell a Mason / Freemason? Why was it necessary for Jehovah’s Witnesses prophecy, on many ocassion, the specific date on Christ return (all of which failed)? Mark 13 verse 32 indicates quite clearly that not even Christ knows the day nor the hour, only the father. Is this not false-prophecy? Why does the general body of Christ in the Kingdom Hall not partake of the emblems during the memorial of Christ? Why must only the “144,000” partake of the unleaven bread and wine? Where is this scriptual? and who determines that those who partake are heaven-bound? I think this is not only silly but preposterous? Why do Jehovah’s Witnesses say so little on the trans-atlantic slavetrade of African? And why do Jehovah’s Witnesses not a potent voice against slavery and racism in America? Henley Taylor, We are not Jehovah witnesses. To get an answer to why on some of your questions you will have to ask the governingbody of the “witnesses” or visit a kingdom hall to inquire. I however am a descendent of slaves and I got something to say! It is a very shameful, criminal, painful and abomination of the United States and England’s history. The Hitler’s pogroms of the Jews is spoken of often. But he who controls the press controls the information asssimilation. Also the Jewish nation retained their identity. The slave pogroms split the families apart and set in place a very difficult thing to overcome, taking the father away from the family by force during slavery. A man passes on to his sons what he possesses and the black slave’s possession was disinfranchiseness. The black man was used to produce as many slaves as he could for the fields, he was literally a buck. For generations this was the legacy passed down to our young black men! The slave master took care of his wife and kids and the woman had to head and teach the family. The Governingbody of the Witnesses wanted to stop education of it’s young black children to keep them in a mental slavery for most of the non black population ignored the order not to finish high school or go to college. (Yep, not to finish high school) This was a pogrom that had worked and so they used it. Because we began to speak out they put a token Black man man on their body Samuel Herd to placate some. BUT, with education and the rise of the Civil Rights movement by the permission of GOD ALMIGHTY, this pogrom has failed. Pol Pot of Cambodia and the Jewish Holocaust is often compared to the struggle of the blacks but that is not a true comparison, they were not slaves and it did not last 400 years. PS: Many nations and tribes will sell their captives to slave traders of all nations. Remember Joseph was sold to slave traders. I mention this because someone tried to make me believe that Black in Africa was the cause of slavery in America and England because they gave them the slaves. All nations will sell their captives to slavers. i thought I would just mention that before someone went that route. I believe that for such strong allegations to be made of Charles Taze Russel, must speak to some truth about his partial or whole involvement in Free-masonary. People just do not go around and arbitrarily construct these blatant lies about someone. There are enough inferences for one to be tempted, to come to the conclusion that, Russel was definitely a freemason. Are you willing to take the change of being judge by God? Are you so confident that Russell was a Mason that you are willing to make this public accusation, with the understanding, that if you are wrong, that God will judge you by the same standard as you are judging Russell? how did those false prophecies work out? your only excuse to this is, so what they have the exact same occult symbols as the templar knights on their PAMPHLETS, next to their gravesite in a masonic graveyard. babylonian symbols of a winged disk. are you for real or caught in some delusion? I’m very curious to know to which “fruits” it is that you are referring. If you are referring to the JW “fruits”, I certainly share your criticism and disdain. In my experience, the REAL fruitage–the lasting legacy of Br. Russell is still evident in the Bible student movement. After a lifetime of pain and terror resulting from my being raised in a JW household, the things I’ve learned since leaving the JW’s are the value of nonviolence, the value of speaking truth and peace, compassion, empathy, forgiveness, and love of even one’s enemies, and most especially loving kindness towards those fragile persons who have suffered much trauma and abuse. I will not imply that such wonderful values are only found among Bible students, but I will say that such love of ALL of mankind as I have come to have and appreciate are found in exceeding abundance within the Bible student movement. After a lifetime of searching for others who share my love for God, my love for Jesus, my love for the Bible, my love for my neighbors, and my love for even my enemies, I can be very thankful for the love towards all of mankind that Russell had, showed, and wrote about. Personally, I’ve researched the accusation the Russell was a supposedly a Freemason, and I see nothing to prove he ever was. But even IF he secretly was (and that’s a BIG and unlikely IF in my mind), I well know that people change and learn and grow and often regret things they did earlier in their lives. I know that is true for me. Will you not admit that such is also true for yourself? Would you like to FOREVER be held accountable for something you’ve long since come to regret? One of the best things about regrets is having them, for then you are well on your way to working at doing better in the future. I mean, what could be worse than doing terrible things and never once in your life coming to regret them? So I suggest that it is not what someone once did that matters so much as how one develops and aspires and continues to grow throughout the entire course of their life. If you want to condemn others, then you had better condemn the Apostle Paul for he was murderer and a persecutor of Christ. And many early Christians led unrighteous lives whilst still in ignorance. The Apostle Paul even wrote, “… and yet those things are what some of you used to do.” (1 Cor. 6:11) And let’s not forget that finding fault with someone does not constitute one’s self righteous, for even the unrighteous Pharisees found fault with Jesus!! Regardless of what you may or may not believe about Russell, if you’ve actually taken any time to read things he wrote, you will see that he always spoke against the idea of having disciples after himself. In his writings, he always maintained that each and every person should study the Bible for himself, and only ever follow his OWN conscience while learning to imitate Christ. -You generally find what you are looking for. If you are only going to look for faults, you will find them. -Let him who is without sin, cast the first stone. -Our Father in heaven…Forgive us out debts as we forgive those who have debts toward us…for if you do not forgive men, your Father in heaven will not forgive you. -People see what they want to see. -Love covers a multitude of sins. -Christ died for ALL because we are ALL SINFUL. -The ability to observe without evaluating is the highest form of intelligence. Labels are for food–not for people. Labels are static. People are not. Photographs capture what once was–not what is now. People change. I’m happy to report that it has been my great and surprising joy to discover that human beings are very desirous of learning, improving, growing and acting socially responsible and compassionately towards others. I even maintain the same optimistic view towards you. Whatever hurt you’ve experienced in the past (and it seems evident to me that there has likely been great pain in your life), I sincerely hope you will find your way to healing sooner, rather than later. And just in case you’re not already there, I also really hope you find your way clear to recognizing that all the sickening JW fruitage we are hearing so much about in the news today is NOT THE fruitage that Russell, nor Jesus, nor God himself intended. What in particular is your gripe against Freemasons?. I see this talk all over the internet that Russell was a Freemason without telling us what your problem is with Masonry? If fact nobody discusses the problem. I belong to ABMP an organization so those who object should discuss the problem so it will be a discussion not a statement then you run. There are Unions etc out there that many belong to also. So lets discuss FREEMASONRY so we understand your problem with them. Russell is dead so I wouldn’t honor you with an argument on whether he was anything because the dead can’t defend themselves. Christ however was inspired by God so that is who we should discuss as we follow Christ not a man. At some point I need to write something about this. I have photos that were taken in 1916 at the time of the burial. In one of the photos you can clearly see that at the bottom of the hill a farm house is located where the Masonic Temple is today. I have other photos that are closeups of the house and the occupants. That was the farm house that the society owned and Pilgrim Brother Bohnet was living in the house and caring for the grounds. I even found a want add from the time where he was inquiring about other brethren to move to the farm to assist in taking care of the grounds. In time the land was sold, the farm house was razed to the ground and a Masonic temple was built. The folks who make this claim haven’t done the research of the land grants and occupants. This can be easily done through such web sites as Ancestry.com or even a trip to the library. ZionsHerald, I agree you should. For one thing these freemasoners don’t realize most men could not read when this order was founded so signs and symbols conveyed this sort of recognition. 1231234 needs to tell us what is done in the secret meetings of the freemasons that he finds objectionable. For instance there is a huge group of people that have these strange ideas about Jehovah witnesses because their buildings had no WINDOWS! Ordinary men women and children built the building (malls) so windows would complicated the building that were build in one 3 day weekend after the foundation was laid weeks earlier. So I said okay what is it the witnesses are doing in secret that you have a problem with? Tell us what it is about the freemasons that they object too. There are a whole lot of secret orders on this planet, to say they are against God and not just a Union you must know what it is they are doing and then object and discuss the thing! To jump on here and say Russell was a freemason and run is not well thought out. Tell us what he believed and practiced as a freemason then let’s talk about that. Then call him up to defend himself. Or at least present paperwork, pictures or something. This is the way intelligent conversation goes, back and forth with validated evidence. Otherwise it is just a time waster. 1231234 should present his case, tell us what a Freemason does that is different from other orders and present the proof of Russell after his conversion and at his death practicing this “Freemasonry error”. Jacqueline……This is just my take on the Mason controvercy.. Mason’s accept any ethical person. They are not narrow minded people nor are they nieve. They teach faith without works is dead. Thats why the Catholic Chruch objected to them for so many years because the Masons did not recognize the Pope as the final authority and accepted Muslims into their ranks. The Catholic Church had 1,500 years of antisemitism to atone for up until Vatican II, when they declared that anyone could go to heaven even a pagan or a Jew. Our dear brother Russell also, proclaimed the ransom for ALL of Adams Brats and this truth was the litness test for those we associate with. Evangelistic Christians insist that ONLY by being born again will someone be saved which then reprudiaits the sufficiency of the blood of Jesus Christ to ransom ALL mankind from the first death. By denieing the free gift of grace they are making salvation a work not a faith. Just Stay Sweet and Good, now you see what I am asking the blogger to do, tell us the issues of the Masons that he/she are objecting to and let us discuss that. No one tells us what makes the Masons so different from other organizations and let us discuss that issue. Are they aware Mason’s are redeemed by Christ also? Thanks to God for Jesus, because religions will kill everybody off, that his blood saved. We all are in the same boat. Sinners and need help to learn the truth and conform to the loving provisions God has offered us. BTW, how are you doing? I am going to give you a call. I hear you guys got wildfires in your neck of the woods. I am finally getting some relief from my fall flat on my face in March by going to a wonderful Chiropractor. My foot and leg was numb and pins, needles and exploding. But he is resolving the pain and issues. Oh BTW, I never knew I would react so deeply at Aretha’s death. I traveled in her entourage for years and got to know her and her sister in law well. Her son Teddy one of her sons I know well is in deep emotional pain. He loved his mom and you could tell. She was a warm caring person and we had a long talk one time and I was shocked that she saw me do something that made her rethink her position on a matter. I didn’t know she knew what my ground rules were or paid me any attention but she let me know she knew every little thing that went on with anybody traveling in her entourage. I will miss her, didn’t know I would cry so much over the fact she suffered so long. I was just about to call you about the wedding! I was at the Yankee Stadium/ Polo grounds convention in 1958. I was 10 years old and got the pink Paradise lost/gained book, it was simple for children. It scared me for the next 52 years of my life with the armageddon picture of all the little children falling in the ground on bikes and the building falling with people to the ground. I was scared of Jehovah! And in that fear I worshiped the “so called faithful slave” for 52 more years of my life as it slowly became a governing body and I learned to hate (a strong word but it is the truth) the watchtower society and all it trappings. I would love to see the film of your wedding. Will you upload it to a site and give us the password. It would be a joy! I actually was able to get away from the witnesses while touring from 1996-2008. I saw entertainers more spiritual than any elder in any congregation of Jehovah witnesses. I saw billionaires and multi-millionaire women and men join in prayer when all ended on Sunday in little groups. One nationwide tour I was on had an enforceable rule of no gossip, cussing, or non civility while we were together on tour for 20 weeks at a time. I was among people that cared more for me than any person within the kingdom hall, In fact the elders were always in my face trying to stop me from touring when they knew this was my job in addition to my office and staff. They tried to make life hard for me. Aretha somehow found out I was a witness and told me she wondered about my insisting on having my private room. When I explained my moral standards and how they were respected she told me I was very confident in myself. Now I do have to credit the witnesses for instilling in me a fear of violating God’s standards. I can honestly say all of the different tours I worked on helped me to see people clearly not as these awful people that the watchtower society painted but poor men and women in the same boat as us all. They all worried about their family and children’s welfare and getting back home as soon as each show was over, praying and reading their bible. My role on the tour allowed me to see the real persons sometimes at their most vulnerable. And they are just like us. I am about to call you now. Nubby I will give my take on this. Just Stay Sweet Good is getting married today to Larry and she just might not see this. 😁😄. I always thought Nathan Knorr got this phrase from the German Reich but now I see another possible source. I know they had to drop it because there was another group (can’t remember who) who began using this phrase. I remember circuit brothers discussing it at luncheons. It was also the Civil Rights era over here and that phrase was one to be watched. It was dropped and I do remember an article or Kingdom ministry piece on it. It was just to Hitlerish like, for the average thinking brothers. Sheldon – I suspect you have not read the material which answers your points. Even so, you must admit you are presenting circumstantial evidence. Would you mind being judged by this same standard? I have been to many Churches and seen these exact logo there, from Methodist, to Lutheran, and even the worship center in a nursing home I visited recently. I do not regard Fritz Springmeier’s accusations to even be “circumstantial” evidence. It all “imagined” and “assumed” evidence, based on what is being imagined to be “Masonic symbols”, and distortions and misrepresentations of a few things Brother Russell stated. Additionally, Springmeier’s idea that Brother Russell was of some “serpentine” bloodline shows, not only an almost total ignorance of what Brother Russell taught and believed, but it also would be in total disagreement with what the Bible teaches, for the Bible tells us that all men are of one bloodline originating from the one man, Adam, and that all Adam’s descendants are condemned in that one bloodline. Springmeier’s introduction of such alleged “serpent” or “Illuminati” bloodlines would only have any meaning if one believes that those of any such bloodlines cannot be covered by the blood of Jesus. In this, many who profess to be Christian are being mislead even more and more into greater rejection of the basis of the redemption in Christ. If one believes that there are serpentine bloodlines in existence today that prevents those of such bloodlines from accepting Christ as Lord and Savior, then those who believe such are, in effect, rejecting the scriptures that tell us that all of are of one bloodline, that all of us are condemned in Adam, and that anyone of any nation can be redeemed through faith in Jesus. — Acts 17:26; Romans 5:12-19; Acts 10:34,35; 1 Corinthians 15:21,22; Colossians 3:10,11; 1 Timothy 2:3,4. ResLight – Thanks. This is very informative. If you have any related links from your website, feel free to link them here. Res-Light – Thanks for more info. on. this topic. Sorry; I see one has to go to the earlier post at 8;32am, and then scroll backwards to 9am, and then you reading this !!!!! Crazy . Sorry for the poor presentation as it is just photos of made up depiction pictures . The first one is JW REDICULOUS teaching . Skip that if you wish ! The second and third pictures, are more easily understood, if you see the destruction of satans cities ans system in the BACKGROUND . In the front is the place of safety, by OBEYING Jesus . The beginning of the new earth, as the earth literally splits in 3, mountains move,and virgin earth rises . Revelations, in fulfillment of the REAL NESSASARY destruction of satans concrete Jungle,that is DESTROYING God’s Garden of Eden to be, as originally purposed . Allen – I liked your point on your blog where you indicated that 6 billion killed and only JWs survive is not a God of love. WHAT…after Math 24;14 is fulfilled worldwide to Jehovah’s satisfaction ??? Were Bro Russel alive today I believe he would agree with the next big event on this earth, and that is the preparing as a nation to seperate from satans system, to allow its destruction . I studied “separating” from satans system for over 20 years now (based on “flee to the mountains”) , which is directly before the great tribulation at Math 24 ; 14-22 . It has been frustrating me no end , because whenever I try to share this very beautiful study and eventuality, blessed by Jehovah (by obeying Jesus) …. THEN NOBODY is even prepared to even CONCIDER it ,OR even to prove it WRONG ! Anyway – at last I have actually found a group that uses and applies all the HUNDREDS of scriptures that PROOVES this will happen ! (The Israel of God , under the subject “rapture”). However – it has to become a worldwide belief FIRST , because actually it is a worldwide “EXODUS” from satans CITIES ! Many choose to remain in the cities as a witness to Jesus , as the woman (the flock) “flies to the wilderness” … AWAY from the face of the serpent . Rev 12 ; 10-17 . I liked it when you told me all your brothers were camping out on a kind brothers farm ! That is a very mini indication of the like-minded getting together . I mean …. How much better will it be when the belief becomes ; that instead of their properties being flattened as part of satans cities , they sell up and join the land of their brothers .Worldwide — this is the nation of JUDEA . AWAY from the destruction on satans cities , and FREE and independent – from the mark of the wild beast ! If you wish you can see the pictures and support scripture I sent to the JW headquarters . This was mailed to them (no computer then) about 7 years ago , and the reply was a threat to stop using their artwork, or they take legal action against me . I would welcome that exposure , and so continue showing it to whoever I feel might be interested . http//allenboshoff.blogspot . Peace through Jesus , son of YaHWeH . Excellent article!I’ll make sure to save it in my favorites as a reference….Thank You! Ken – The sad thing is that the Bible forcefully speaks against slander and evil speaking. Many people are so quick to do so and blindly accept gossip without any fact checking.